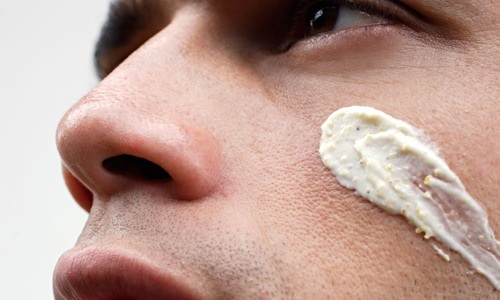 The Benefits of Exfoliating Your Face | Valet. 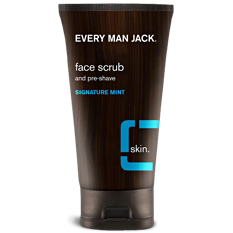 It's a step that most men leave out of their grooming regimens, but if you're not exfoliating your face you're missing out. 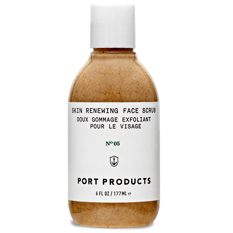 A good scrub will work wonders—ridding the face of dead skin, removing pore-clogging dirt and digging deep to uproot ingrown hairs—and the result is a more lively, healthy complexion. The best time to use a scrub is in the shower. The steam will help open up your pores (and it makes clean up a whole lot easier). It's also the perfect pre-shave treatment, lifting whiskers away from the skin and preventing irritation. 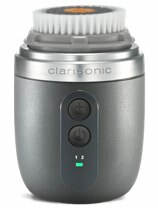 You want to massage the product into skin with small circles, like you're waxing a car. Because that's really what you're doing here—rubbing on a slightly abrasive paste in order to remove dullness and environmental grime and polish the outer layer smooth. What's more, the better scrubs come packed with beneficial ingredients to condition skin while it cleans it. But before you get scrubbing, two notes of caution: Don't do this everyday (two to three times a week should suffice) and don't rub too hard, let the product do the work. 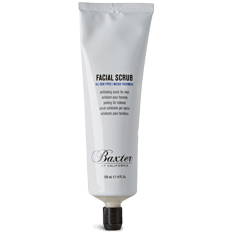 This utilizes walnut shells and glycolic acid to remove dead skin. Sea buckthorn berry extract, a powerful antioxidant, fights blemishes and improves skin tone. Cornmeal and walnut shells make for gritty buffers, while such soothing ingredients as honey and chamomile, tone and promote cell renewal. 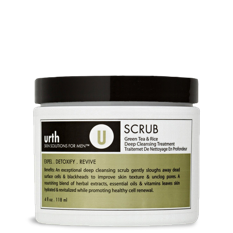 Micro-fine rice granules and wheat germ make the micro-fine granules in this mud-like scrub while green tea, ginseng and tea tree oil help leave the skin tingly clean. The gentle grit in this minty and frothy scrub comes from jojoba beads while natural marine extracts and vitamin E ensure skin won't feel tight. The number of skin cells that fall from your body every minute. 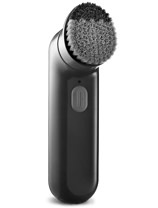 You've likely heard someone going on about the benefits of a sonic facial brush. And that's because they're pretty damn great. These powered face buffers utilize the same technology we've come to love from our electric toothbrushes—working with your favorite cleanser to gently dislodge debris, oil and surface dead skin cells. Slap on some of this and then just let it sink in and do its magic while you sleep. The short answer is probably yes. Here's why.